This catalog describes in detail the Kemlon line of high pressure multipin connectors. Both hermetic glass sealed and plastic molded connectors with contact blocks, contacts, couplings, and other accessories are included. Pin arrangements to military standards are typical. 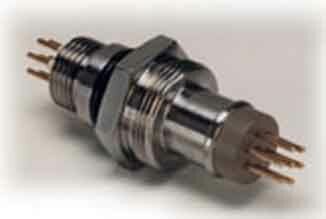 These connectors are often used in non-conductive oil systems in electronic instruments.